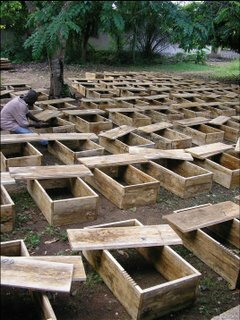 Due to the delays of the deployment of the Africa Mercy the outreach in Ghana has continued by using the Anastasis as it's platform. 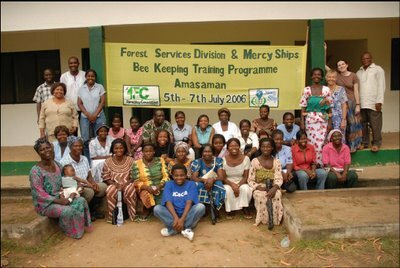 Many of you will remember the fun "christmas gift ideas" of last year that were available to purchase from the Africa Mercy to support projects in Ghana like beekeeping, mushrooms, rabbits and snails. The response from that plea was amazing and has enabled many projects to take place through our Construction & Development Services (CDS) who transferred down to Ghana in June. 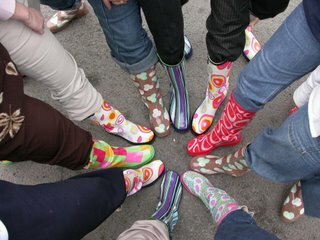 The excitement started in Newcastle when a whole load of funky wellies / gumboots (...USA translation) & beekeeping clothes were donated. 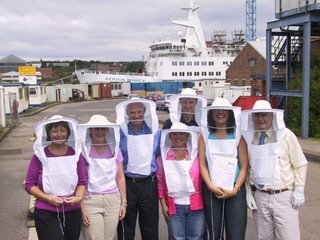 Now - the training is well underway for the beekeeping side of things. 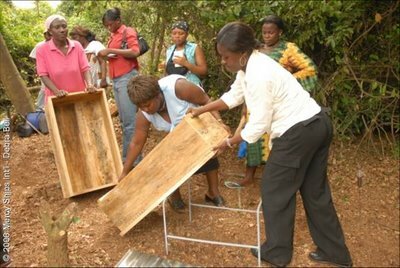 Currently 52 Ghanaian women are being trained in the art of beekeeping as part of a micro enterprise initiative for women. 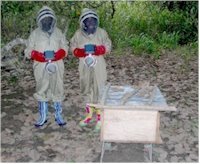 They were given new bee hives and apiary tools to maintain them and of course the trendy beekeeping outfits. The hives were placed in 13 locations throughout the region and were baited to attract the bees. We are praying that they will “bee” swarming before time! The initiative is being conducted in co-operation with the forestry commission of Ghana. They were asked to locate poor women who would benefit immediately from a source of income, who were farmers and who were willing to share with others what they had been taught. Among the trainees were 2 prison officials who will teach the skills to female inmates to provide an income on their release. A second phase of training will be held to teach then how to harvest and market the honey and honey comb. Yum yum, we just wish we were down there with our toast to try it out!